This brand-new coffee-table book captures the lives of men and women in the fire service from over 40 areas and departments. It features photos of fire scenes and rescues, academy graduations, training, dive calls, department events, holidays, group shots, emergency helicopter transports and more. Includes full color photos from: Northbrook, Evanston, Gurnee, Rockford, Chicago, Joliet, Winthrop Harbor, Waukegan, Wheeling and Highland Park. About the author: Tim Olk took his first fire scene photos when he was 13 years old. He brought the pictures into the station and met Assistant Chief/Fire Investigator Wayne Luecht. He took photography classes and learned how to shoot fire scenes from Luecht. Eventually, Tim became a Paid on Call Firefighter as well as certified in Advanced Fire Scene Photography by the Fire Investigators Strike Force. Tim is now the Midwest US Region Director for the International Fire Photographers Association. He has had many photos featured in Fire Engineering, Fire Chief and Fire Rescue magazines. In 1999, Tim lost his mentor and friend when Wayne Luecht died of injuries sustained on duty. 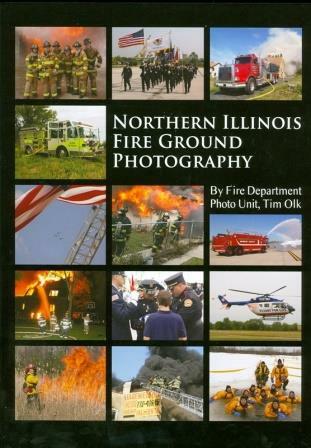 Tim is still traveling all over the greater Chicago area capturing scenes like the many shared in this book.